Exotek's Associated Aluminum HD Servo Horn has answered a long time call from Associated fans. 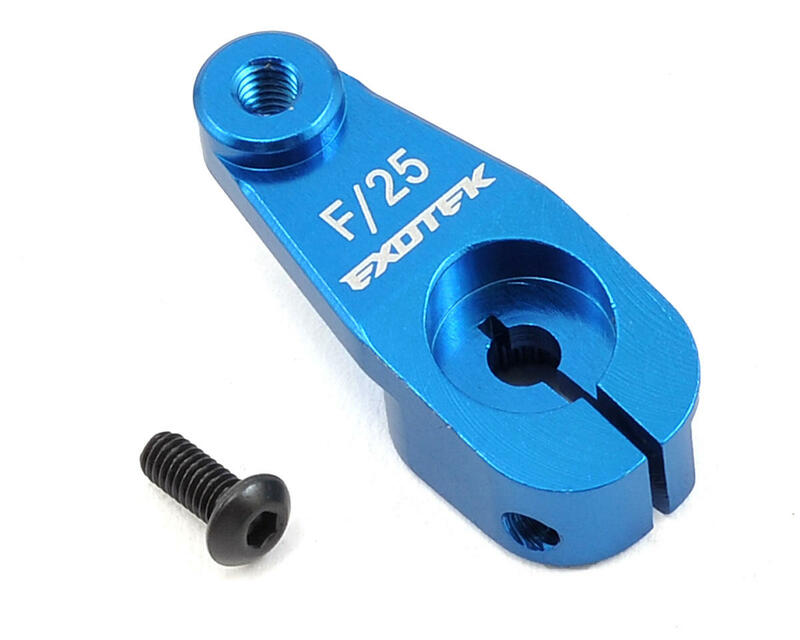 This 25 tooth aluminum servo horn perfectly matches the geometry of the stock AE servo horn and features a clamping design that uses a heavy duty M2.5 screw to lock the horn down on the servo. This is the only clamping horn that matches the geometry of the stock servo horn! Now you have perfect fit and geometry for precise steering and durable lasting performance. This is a fantastic product! Fits perfect and looks perfect! I have 3 of these, one on each of my B5M, T5M and my SC5M. 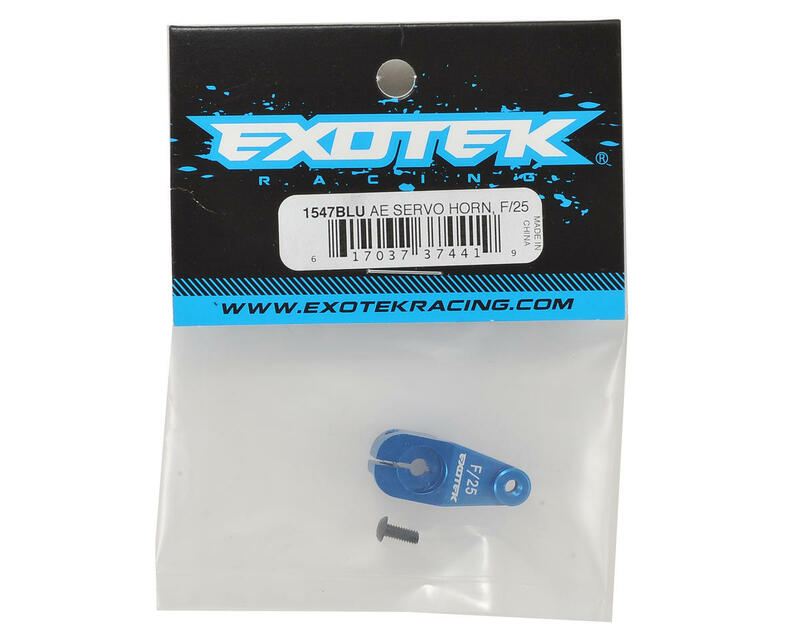 Save yourself some trouble trying to find something usable in your local track hobby shop after you break that miserable plastic one racing, and get one of these now! 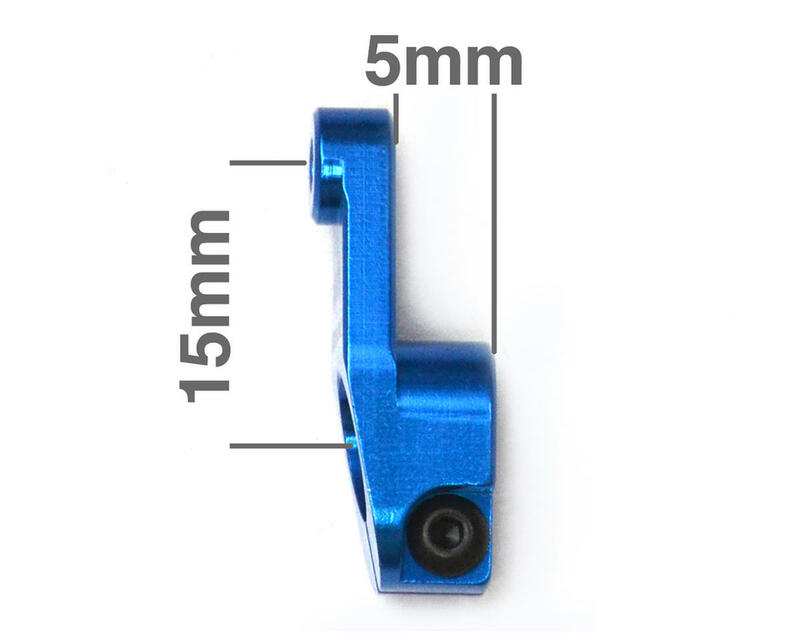 Put this on a futaba servo for my b5m lite works amazing great throw from left to right and no binding. I broke the stock horn this works perfect. No issues so far. Never really like this horn from the beginning. It would loosen up over a heat race every time. I eventually used some threadlock but then the cheap screw stripped out while trying to remove. Can't really use it now since there is no way of removing the screw. Lesson learned. It need a metric ball end! It is not compatible with SC10.3 at all!